Inside the glorious home of a household name that is synonymous with AGA; demonstrator, mother, wife and fabulous cook Tatty Happell. 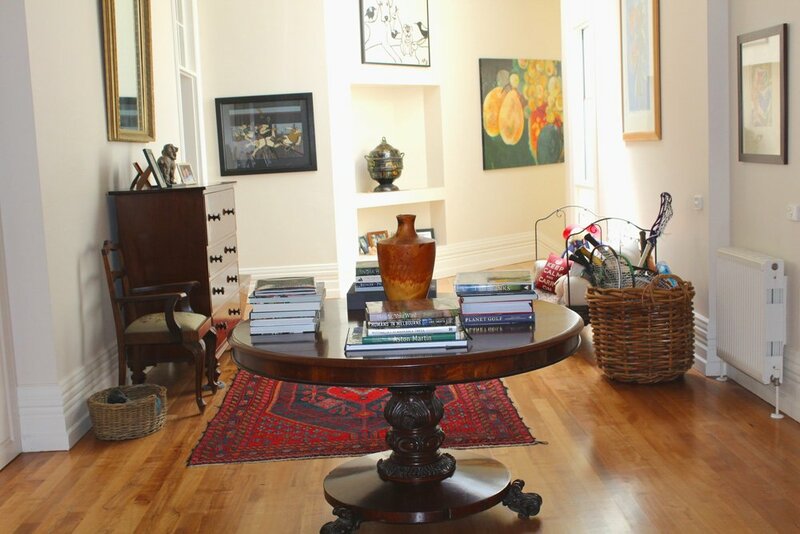 Visit her 1900’s Armadale home and see that famous AGA we all know and love. A name that is synonymous with AGA is Tatty Happell. If you own an AGA or have an interest in AGA’s, then I’m sure you’ve heard the name. You can usually find her at our Prahran Showroom, working her way around the AGA Dual Control oven, effortlessly putting various ingredients in the oven, chatting with guests, and then moments later a beautiful 5 course feast is on the table. It’s like magic. You never know where the food comes from, but you’re continuously guaranteed a fantastic demonstration on the versatility and efficiency of the cooker and leaving with a belly full of wonderful sweet and savoury. Tatty has notably been given the title of “best boiled carrots” by numerous customers, due to the simplicity of flavour and cooking process, some of which are the sole reason they’ve purchased an AGA. She’s also a mother to three gorgeous daughters Edwina, Bella and Josie, and wife to Michael Happell. I thought it was only fair to interview the woman who so many look up to, who so many know, and are now friends with via the AGA community, and find out more about her childhood, her AGA, her family, and how she landed the job of AGA Demonstrator. I’m invited to Tatty’s home in Armadale, just a few blocks away from the AGA Showroom. I always wondered what the inside of Tatty’s home would look like, especially the kitchen with the cooker in question. Would the AGA be hidden or tucked away? Or would it be the centre of attention, the heart of the home? The answer: the latter. When I walk into Tatty’s kitchen all eyes are drawn to it. The lovely shade of Royal Blue, the glowing letters above the cooker that spell “AGA”, the stainless steel AGA kettle, the AGA shaped tin box, the chef pads on the hotplate lids, and the letters on the wall that represent all the family members. It’s almost equivalent to a shrine, paying tribute to Tatty’s admiration and appreciation of AGA. I want to find out more about how this love of AGA began. If you would like to attend an AGA cooking demonstration with Tatty Happell, please email us at marketing@agaaustralia.com.au or call us on 03 9521 4965.